Why many simple kisses are better than an occasional “get a room” kiss! How basic good manners can strengthen your relationship. The danger of assuming your spouse knows how you feel. 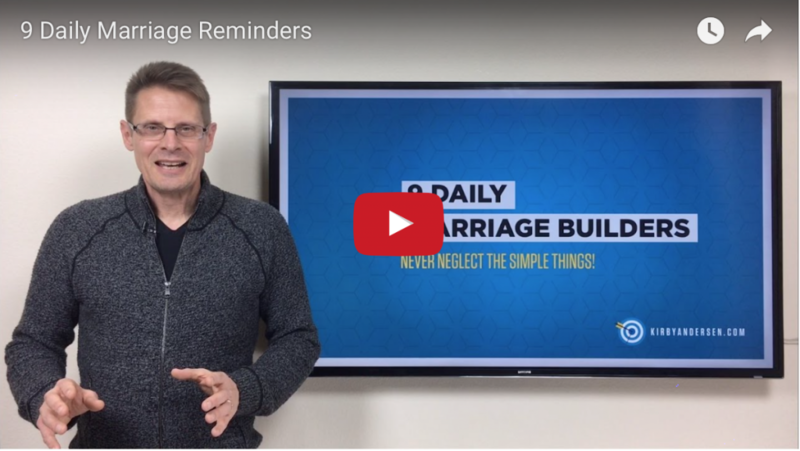 Simple daily habits can keep the momentum going in every marriage! So invest 10 minutes today in your most important relationship by viewing my latest video for you. Let me know what helped the most.